Walters Group Announces Partnership with Dave Steel Company, Inc. - Walters Group Inc.
Walters Group Announces Partnership with Dave Steel Company, Inc.
Walters Group, a Canadian family-owned steel construction company that services commercial and industrial projects throughout North America, jointly announced today that Walters Group has completed a significant minority acquisition of ownership of US company Dave Steel Company, Inc. (“Dave Steel Company”). Much like Walters Group, Dave Steel Company is a family-owned business with a long history in steel fabrication dating back to 1929. With two plants, one in North Carolina, and one in South Carolina, they provide steel fabrication for both commercial and industrial projects. Their capabilities, solid reputation in the industry, and strong culture made Dave Steel Company a natural fit for Walters Group. 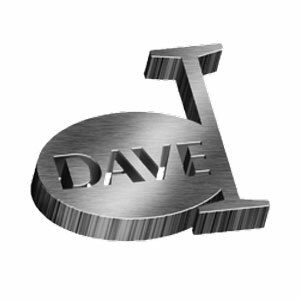 Dave Steel Company will continue to operate as a separate entity under the current leadership of Jeff Dave, President. Walters Group will have representation on the Dave Steel Company Board of Directors. Walters Group views this partnership as a strategic alignment that offers benefits for both companies. For Walters Group, having a physical presence in the US provides opportunities to service clients on a broader scale and offer expanded capacity through joint projects. “There was a natural fit in the DNA of our businesses. From our first discussions, we saw how our approach to doing business aligned. Through more discussions, we continued to see synergies. We saw how this partnership could help both of our companies better serve our clients and grow our businesses across North America,” said Walt Koppelaar, VP Sales and Markets, Walters Group. For Dave Steel Company, Walters Group’s experience in steel construction will allow them to round out their service offering to clients by providing supply and install projects using in-house capabilities. The partnership also secures a strong future of management for their family business. “As a family business, we’re always thinking about how we can evolve and create a sustainable business for future generations. We see this partnership as a very positive development for our business; one that will re-energize our growth plans and provide us with the right management for the future,” said Jeff Dave, President, Dave Steel Company, Inc. Both companies also see the opportunities to advance more quickly by sharing technology and process best practices, and see the potential for increased buying power for raw materials that could increase competitiveness. Since 1929, Dave Steel Company has served the construction industry as a strong and stable supplier of quality fabricated structural steel for industrial, institutional, and commercial projects. Our main emphasis has been on industrial projects requiring skilled fabrication with exceptional quality and service. We have developed a reputation for providing a highly accurate fabricated product that reduces fieldwork for alignment and error correction. Dave Steel Company services begin at the design development stage with design/build and design/assist capability, detailing and connection design. Our services extend through in-field service as materials are being erected. Our management style provides a “hands-on” approach to our projects where we are always focused on making our clients’ lives easier. We maintain strict control so our customer is constantly aware of the status of the project. We pride ourselves in our flexibility to address schedule needs and the ever-changing nature of a project. To learn more, visit www.davesteel.com and our Dave Steel Company profile page. Founded in 1956, Walters Group is a family-owned steel construction company that designs, fabricates, and constructs commercial and industrial projects throughout North America. Our ability to provide vertically-integrated services “in-house” allows us to deliver a seamless experience and control every stage of a project. From construction engineering and design-assist, to detailing and fabrication, to finishing, delivery and construction – we are with our clients every step of the way. Through our integrated network of companies, we provide products and services that complement our core business of structural steel. From industry-leading Architecturally Exposed Structural Steel (AESS) and high-end architecturally fabricated structures, to the latest in lightweight flooring technology, we’re able to bring innovative ideas and solutions to our clients. To learn more, visit www.waltersgroupinc.com. Vice President, Sales/Marketing | Dave Steel Company, Inc.